Model SM0825-36H is an 800 to 2500 MHz solid state GaAs amplifier designed for multi-purpose use in the wireless markets. 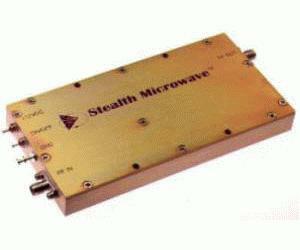 With 1.7 GHz of bandwidth, this small amplifier can be used in AMPS, GSM, DCS1800, ISM, WLL, PCS, UMTS, and IMT200 applications. This module provides 35 dB of linear gain, +35.5 dBm of output power at P1dB, and OIP3 of +48 dBm. It comes standard in modular form with four (4) thru-holes for mounting.